Here is an easy straight forward recipe that everyone will love. 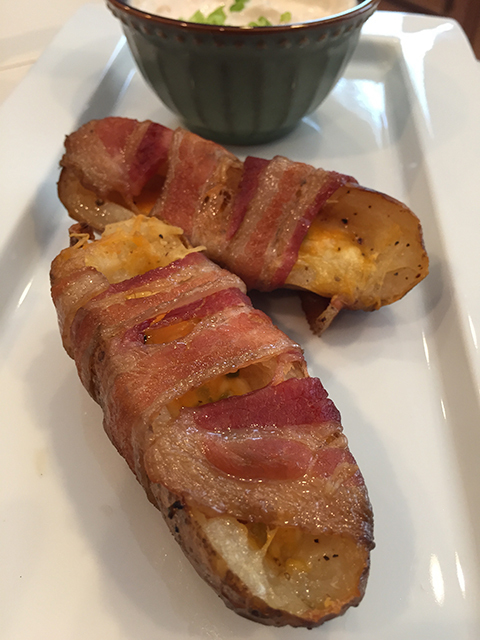 Potato..Cheese..Bacon what’s not to love. 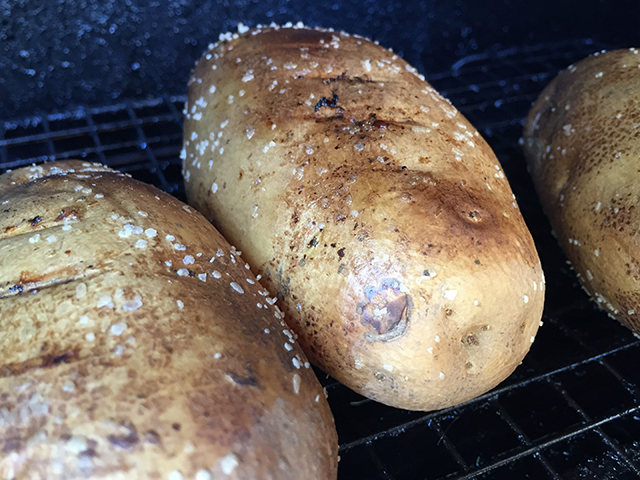 We took the standard potato skin recipe and added smoke and wrapped it in bacon. Enjoy! First clean the potato and poke a couple holes in them with a fork. Next lightly coat with vegetable oil and season with kosher salt. Place potatoes and jalapeño in your GMG with the grill set at 325f and cook 1-2 hours dependent on size or until they are fork tender and the jalapeño is charred . Let the potato cool, and peel the skin off your jalapeño and dice. Then cut the potato in half and remove the majority of the inside with a spoon. Season the inside with sizzle rub and fill with cheese and a little of the diced jalapeño. 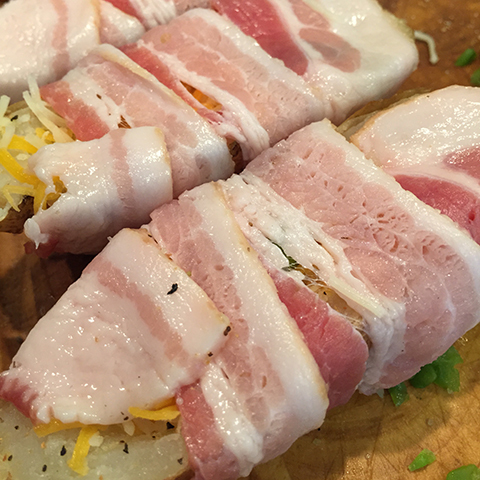 Wrap each potato in one piece of bacon and place back on your grill decreasing the heat to 290f. Continue to cook for 1 to 1 1/2 hours or until bacon is crisp. Next make your dipping sauce by combining sour cream, buffalo hot sauce, sizzle rub and green onion. 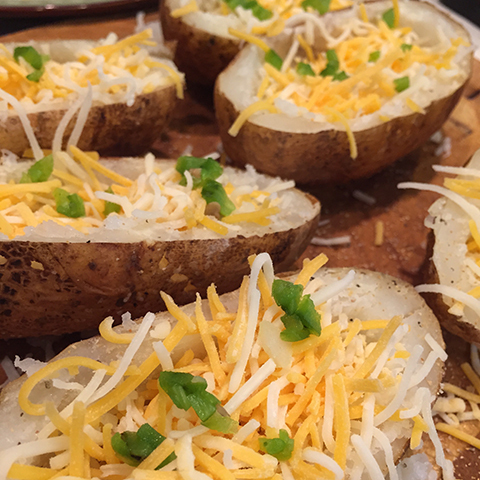 Have fun with this recipe, take your leftover pulled pork or other meats and use them as another stuffing ingredient for your your potato skins. Enjoy! If you have any question or comments please leave them in the comments below.